It’s that time of year again - license renewals and membership dues billing! A majority of real estate practitioners do not know the difference between the two and easily confuse payment of one for the other.  This resource will explain the difference between the two and elliminate some of the confusion and address some of the frequently asked questions about the process. We will first start with your real estate license which is issued by the Louisiana Real Estate Commission (LREC). There are two (2) common types of licenses: broker license and salesperson license. In order to keep your real estate license ACTIVE, you must renew by December 31 of each year. Prior to renewal, you must complete 12 hours of continuing education (CE) and 4 hours are required in a mandatory topic. For 2018, the mandatory topic is “Real Estate Best Practices” and the course is delivered both online and in the classroom by various education providers. It is important to note that the education requirements must be completed PRIOR TO renewing or you could face a penalty. Licensees are also required to carry Errors & Omissions (E&O) Insurance. The LREC provides a group policy provided by Rice Insurance Services. There are also other providers in the market should you have an interest in a different policy. 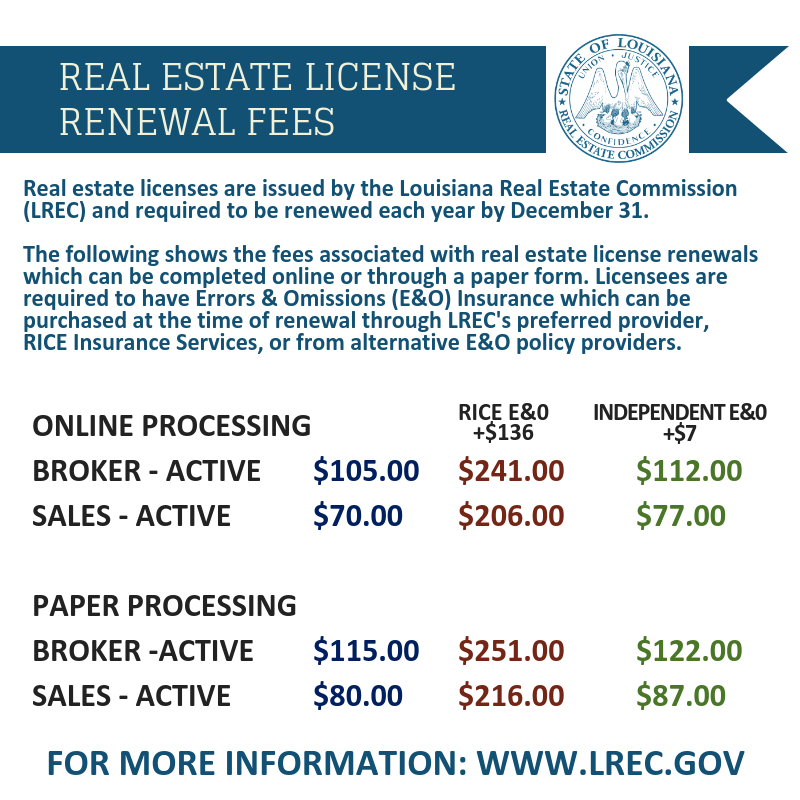 The following graphic gives a quick glance on the fees associated with renewing your Louisiana real estate license.  Keep up with LREC related communications usings your LREC assisgned email. Don’t want to remember another account? No worries, you can forward the email to your main account using the instructions about MyLREC Portal outlined here. The other statement you receive comes from your local association of REALTORS.  The local Association serve as the point of entry for REALTOR® organization membership, therefore, your local association is responsible for the billing and collecting of membership dues. The term “Three-way Agreement” refers to the structure of the REALTOR® organization. This agreement was established among the National Association, the state associations, and local boards and associations. The purpose of the structure is to strengthen the REALTOR® organization by providing a framework for effective communication, delivery of goods and services, and enforcement of the REALTORS® Code of Ethics. The current size of the REALTOR® organization (over one million members at this writing) contributes substantially to the political influence of the National Association, thereby enhancing its effectiveness in lobbying for causes that contribute to the protection of private property rights. Membership dues are collected annually and each level of the organization has its own dues level. As a REALTOR® member, you are required to complete 2.5 hours of Code of Ethics training every two (2) year or face penalities imposed by your local association. COE courses may or may not have CE credit associated with them. The Code of Ethics can be taken at your local association and online through the National Association of REALTORS®. The following graphic gives a quick glance on the fees associated with your annual REALTOR® membership dues at the national, state, and local levels. Many REALTOR® members have questions about dues and will often ask “where do dues dollars go?” The answer to that is different at each level of the organization and the programs and services provided are many, but will be deemed valuable and beneficial to your business if you know how and where to access and utilize them. Earlier this Spring, NAR Board of Directors passed the 2019 budget that included the S.M.A.R.T. Budget Initiative. S.M.A.R.T. stands for Strategic Measures Advancing REALTORS® to Tomorrow. Broker/Owner of Coldwell Banker One in Baton Rouge, David McKey and Louisiana REALTORS CEO, Norman Morris talk a little more about the components of the SMART initiatives in this 4-minute informational video. At the state level, dues remains the same. You will notice the $25 building assessment is no longer being collected. Something added this year is a $20 voluntary contribution to the Louisiana REALTORS Disaster Relief Fund. More than 1,000 families were assisted in the August 2016 floods with funds and the purpose of the contribution is to be prepared for the next disaster. Those funds also get used to send to areas around the country as disasters occur. This summer, LR’s Executive Committee voted to request that local associations include that as a voluntary contribution on 2019 dues billing statements. All donations are eligible for a special drawing of a one-of-a-kind George Rodrigue print. The LR Board of Directors at the Fall Governance Meeting approved the 2019 Program of Work which is executed with dues dollars and provides for different programs and services that include advocacy efforts at the state level, professional development programs, and other member benefits and services such as the Tech Helpline and Office Depot member discounts. As LR moves into it’s 100th year of service, we are excited to continue to be the voice of real estate in Louisiana and a resource for services for REALTOR members. As noted in the Association Membership dues graphic, each local association has dues and they vary from assocation to association. In Louisiana, there are 10 local associations represented in each of the markets around the state. Dues are often separate from charges for Multiple Listing Service (MLS) fees. Each Association and MLS can differ in the tools, services, and programs they provide. It is best to contact your local board Association Executive or staff members that handled membership for specifics on what is offered and which tools and education are available to you. We hope this information has been helpful in understanding the difference in the various fees associated with being in the real estate profession. 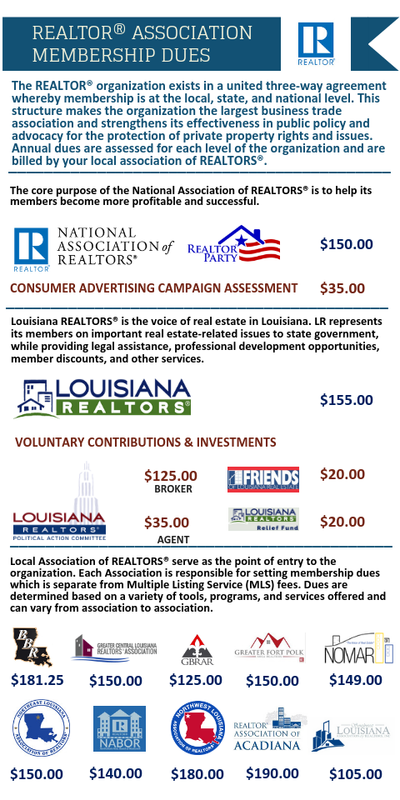 It is also helpful to note the differences between the Louisiana Real Estate Commission (LREC) and REALTOR Associations in this handy infographic! For additional questions or information please contact us at 1-800-266-8538.